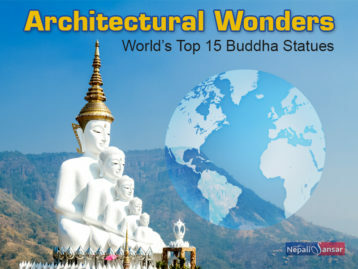 Mountains, lakes, valleys and be that any other interesting aspect of nature, Nepal stands out from rest of the world! Here we will see one such lake that boasts of its uniqueness compared to other beautiful lakes of the Himalayan nation. 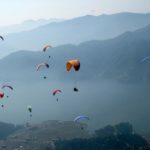 Rara, an oval-shaped lake considered as the deepest and largest lake in Nepal, is located in in Mugu District, Rara region in the northwest part of the country. The lake is positioned 10,040 feet above the sea level, and is 3 miles long, one mile wide and 548 feet deep. With 167 m depth at some places, the lake merges into the Mugu Karnali River via Nijar Khola. Chuchemara Hill, at the height of 4,087 m, stands as the best vantage point offering picturesque view of the deep blue clear Rara Lake, hillsides and snow-capped peaks around it. 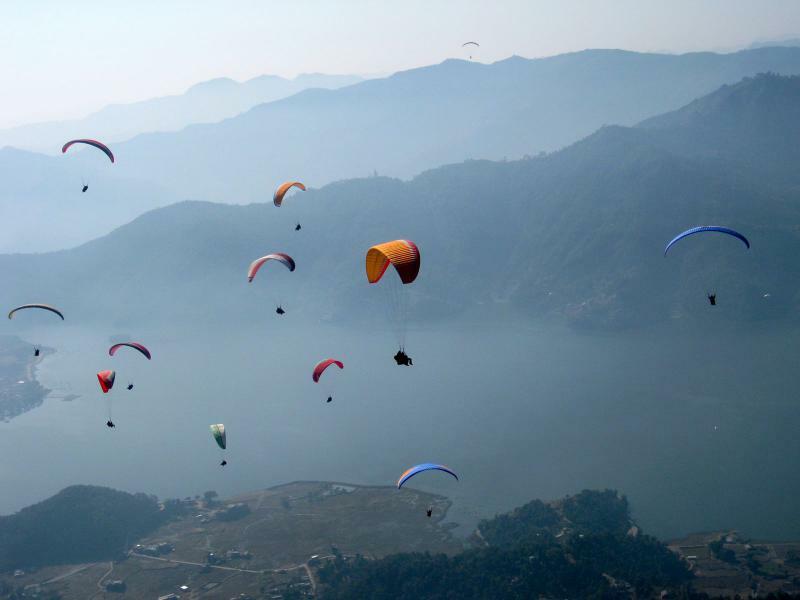 The lake is famous for Snowtrout fish variety and is also one of the popular pilgrimage sites for Nepalis. Located northwest part of Nepal, the Rara region is also famous for ‘trekking‘ and is also home to the country’s smallest national Park. Officially established in 1976, Rara National Park presents to the visitors a beautiful view surrounded by alpine vegetation along with rich collection of flora and fauna. The Park is home to more than 500 different kinds of flora, and fauna including 20 different species of mammals and 214 bird species. Leopard, red panda, musk deer, Himalayan black bear, jackal, Himalayan tahr, yellow-throated martin, wild dog, wild boar, common langur, rhesus macaque and common otter are some of the endangered species that the park is known for. The park presents a rejoicing experience in winter, where a different types of rare birds such as coots, great-crested grebe, black-necked grebe, red crested pochard, mallard, common teal, merganser and gulls can be spotted. Gallinaceous birds and migrant water fowls can also be spotted in particular seasons. Rara can be reached through a flight journey from Nepalgunj to Jumla and a further 2-3 days walk from there. A trek journey to Rara region takes you through the hilly Jumla region that has apple orchards stretched out over the hills. 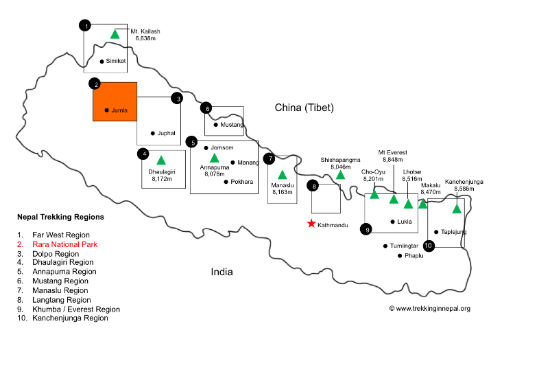 The trek takes you through remote countryside towards the Tibetan border. There are also other tourist services and infrastructure facilities available. But traveling alone can give you an unforgettable experience. 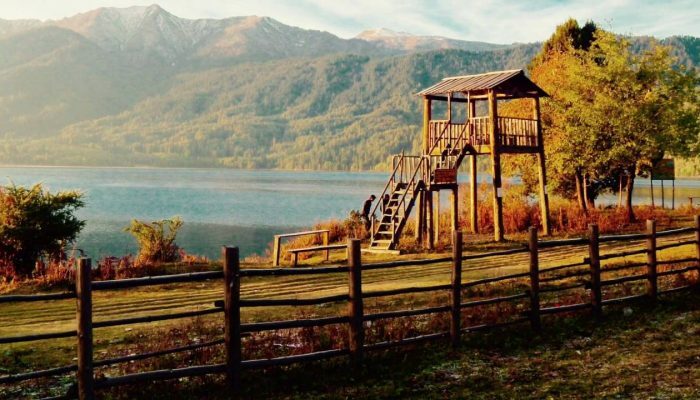 Best time to visit the Rara National Park is autumn, spring and summer! A journey to the Jumla region and the beautiful Rara Lake is considered as one of the most amazing trek journeys in the entire Himalayan range. Agriculture is the primary occupation for people in and around Rara, while some make their living by rearing goats and selling medicinal herbs. Thakur society is dominant in the region and there is a Thakur Baba temple in the southeast corner of the Rara Lake. Locals believe that the Thakur Baba saved the region by shooting an arrow to open the passage of the lake, thus reducing the region’s vulnerability to flooding. As part of this mission to promote tourism, Nepal tourism department has been in continuous quest of identifying new tourism spots as part of its Visit Nepal 2020 campaign. 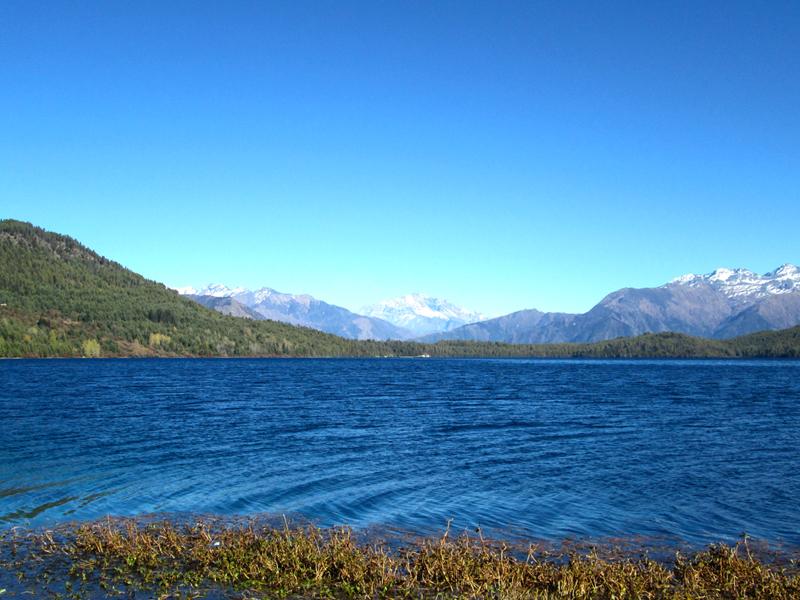 One such tourism destination that has grown in popularity in the recent times is ‘Rara Lake’. 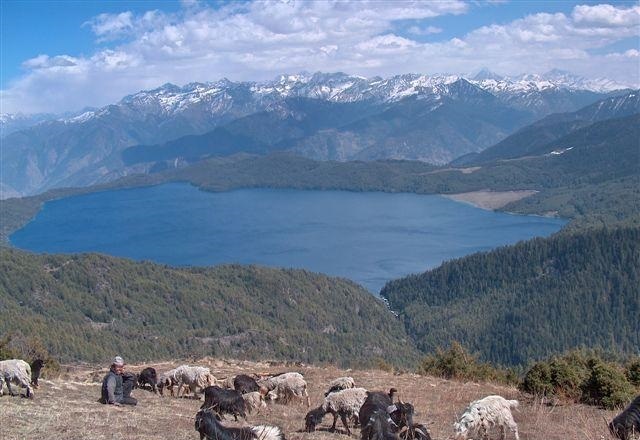 As a result of regional tourism promotions, Rara Lake has witnessed around 15,000 visitors till March 2019 in the new year, say the Rara National Park (RNP) Office records. According to the records, there has been a healthy rise in domestic tourists to the place. While the number of foreign tourist arrivals remained steady. 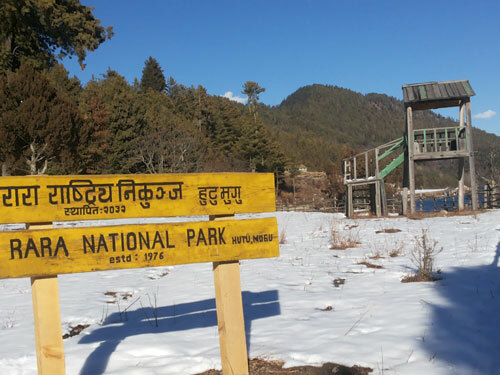 “Though heavy snowfall had temporarily halted tourist flow, with weather clearing up through March, the number of visitors is increasing,” says Lal Bahadur Bhandari, chief warden of RNP. With an aim to reach 100,000 tourist arrival target, Prime Minister Oli inaugurated the Karnali-Rara Visit Year campaign on April 14, 2018. Though the annual target is far from current figures, authorities are expecting a rise in tourism footfall to the place in the days to come. However, quality accommodation and hygiene food continue to be major hurdles for the region in drawing more tourists. “If we are able to provide quality accommodation for tourists and other activities for visitors, we can make good earnings through domestic tourism,” adds Bhandari. While accommodation stands as a concern, the National Parks and Wildlife Conservation Act 2019 BS bars construction of hotels or any other infrastructure within national parks. However, with the permission of the Department of National Parks and Wildlife Conservation, the place currently has two hotels under temporary permit. On the other side, park officials are welcoming investors to construct hotels outside the national park. Hope more internal support from the government side will bring out the true potential of Rara Lake as Nepal’s next-famous tourism destination.